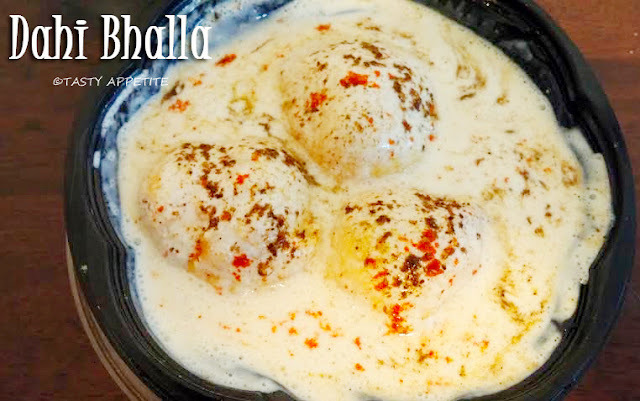 Today’s special post is yummy and all-time-favorite North Indian version of Dahi Vada. It is a very popular snack of Delhi & Punjab. 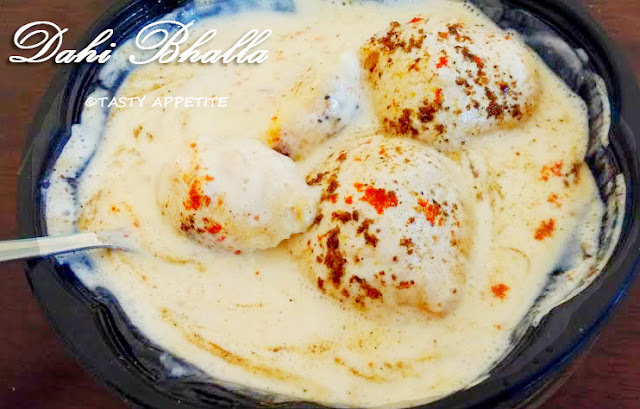 In this recipe the lentil dumplings are soaked in a chilled yoghurt topped with sweet and spicy chutneys. It tastes absolute delicious with all the tempting flavors in it. 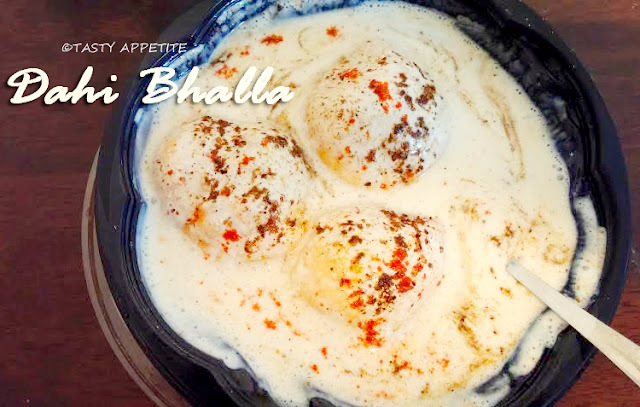 Make this authentic recipe at home and enjoy the luscious chat. How to make Sweet & Green Chutneys for chats at home? 1. Wash and soak the urad dal in water for 2 hours. 2. Strain the water and reserve for grinding. 3. Then add it to the blender. 4. Add salt, green chilly, hing and ginger. 5. Add little of the reserved waterand grind it to smooth consistency. 6. The battery should be of dropping consistency and should not be too thick or watery. 8. Once the oil is hot, wet your hands with water and take a dallop of batter and drop them in hot oil carefully. 9. Deep fry them until it turns golden brown all over. 10. Strain on a kitchen tissue. 11. Take warm water in a saucepan. 12. Immerse the vadas in the water one by one. 13. Let it soak for 2 mins. 14. Squeeze the water from the vadas gently and take them out. 15. Now soft n spongy vadas are ready to absorb the yoghurt along with spices. 16. Mix together yoghurt and water to smooth consistency. 17. Add red chilly pwd and salt to taste. 18. Soak the spongy vadas in the yoghurt and allow to rest for 5 to 10 mins. 19. Transfer to serving bowl, and garnish by sprinkling red chilly pwd, pepper pwd, chat masala pwd, green chutney and tamarind chutney. 20. Lipsmacking healthy delicious Dahi Bhalla is ready. Similarly Rasam vadai, Sambar vadai too can be done by just soaking the vadai in the respective items.